If you want a roof replacement for your Chelsea, Michigan, area residence that you can count on to resist water infiltration, Roofman has the roofing system you need. Made entirely from rubber, a Roofman roof won’t become just another leaky roof after a decade or two. Many roofing contractors use a one-layer underlayment, but we install a proprietary three-layer rubberized underlayment that will keep water out. For protection during the winter months, we also install not the 3-foot ice guard required by code but a 9-foot ice guard for extra prevention against ice dam formations and water damage. Top-notch wind resistance – Even if the wind is screaming at 130 mph, you can count on SBS shingles to remain attached to your roof. Protection during adverse weather conditions – With their Class 4 impact rating, SBS shingles boast the best possible protection against damage from hailstones, driving rains, and windswept debris. Better curb appeal for your home – If your current roof has become an eyesore, a Roofman roof replacement will help markedly improve your Chelsea, MI, area home’s appearance. Many shingle colors are available as well for aesthetic customization. Plus, your shingles will not be overtaken by the growth of ugly black algae thanks to their Scotchgard™ protector. Your roof replacement project will be conducted and completed by our own experienced and professional roof installers in a single day. You can trust that they’ll get the job done right because they have more than three decades of roof installation experience. You’ll only have to pay once we’re finished with your roof replacement, as we don’t require any money down. Payment will be straightforward, too, as you’ll receive a guaranteed estimate before work begins. 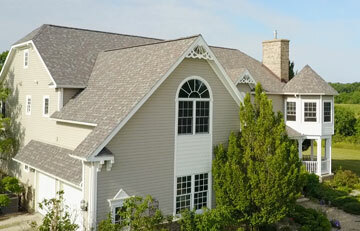 Contact Roofman today to learn how our roof replacement services can benefit your residence in Chelsea, MI. When you call, be sure to also ask about our helpful financing options and transferable lifetime materials and labor warranty.